Don't Always Trust Digital Rhinoplasty Animations For Nose Aesthetic Operations! With photoshop and a similar image processing program, different changes can be made easily on the nose. Using the program, the arch on the back of the nose, the thick end of the nose tip, nose-tip angle of what you can easily be corrected. 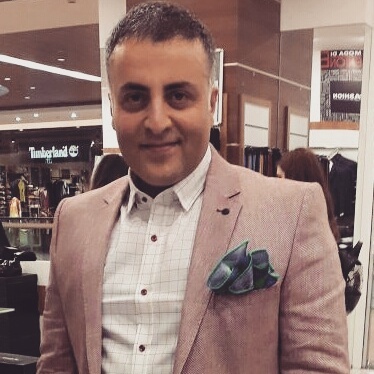 It is not possible to remove these excesses containing different cartilage grafts, bone healing tissue, connective tissue and skin so easily and always leave a nose symmetrically. 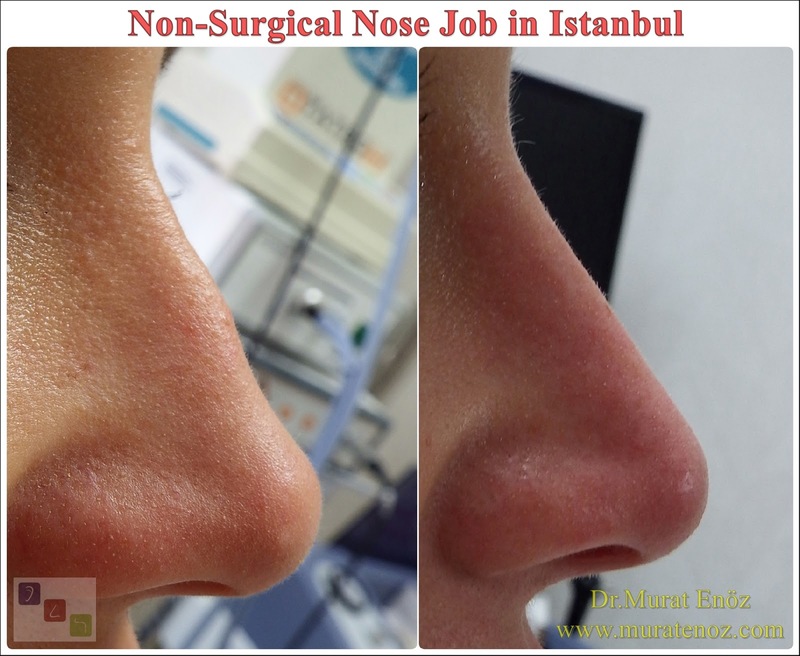 In parallel with technological advances, systems have been developed to present nose shapes that are planned before and after rhinoplasty on 3D images. The operation of the healing mechanisms in the patient's genetics, the care of the patient, the amount of surgical trauma, the amount of asymmetry in the nasal cartilage before the operation will be effective in determining the postoperative shape. Particularly, "twisted nose" or "C shaped nose" are more likely to remain asymmetry after surgery. In patients with severe septum deviation, there is a possibility of curvature after surgery. You can easily understand this fact, the world 's best and most satisfied physicians on the internet pages, you can reach the photos before and after the patient. When you look carefully, you can find patients who continue asymmetry in the nose, even if most of them have a millimeter asymmetry. 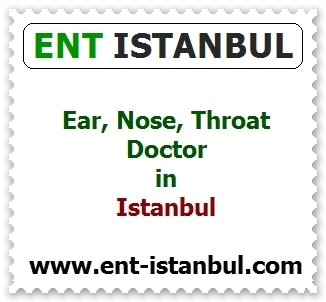 It is very important to have a good dialogue with the physician who decided to undergo surgery, to understand the patient expectations, to examine the nose and to examine the skin characteristics of the patient. In Complicated Revision Rhinoplasty Operations and Thick Skinned Ethnic Nose Aesthetic Surgeries, Digital Rhinoplasty Animations May Cause Disappointing and Frustrating of Patients! In complicated nose job operations, the surgery itself is already equivalent to "open a surprise box". 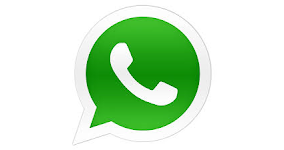 The results of the surgery during surgery and the results of the surgical procedures to be decided during the surgery cannot be predicted and presented to the patient before the operation. Particularly in a patient with 2 or more nasal surgeries, a cartilage and bone anatomy modified, healing touches and suture reactions, it is not possible to show the exact result with a simple digital animation program. Thick skin rhinoplasty, ethnic primary rhinoplasty and ethnic revision after the nose rhinoplasty, skin exaggerated tissue edema can be seen in different skin structure patients. Especially in patients with oily skin features, expectation that a thin nasal tip may be expected and that a short-term outcome may sometimes result in severe frustrations. 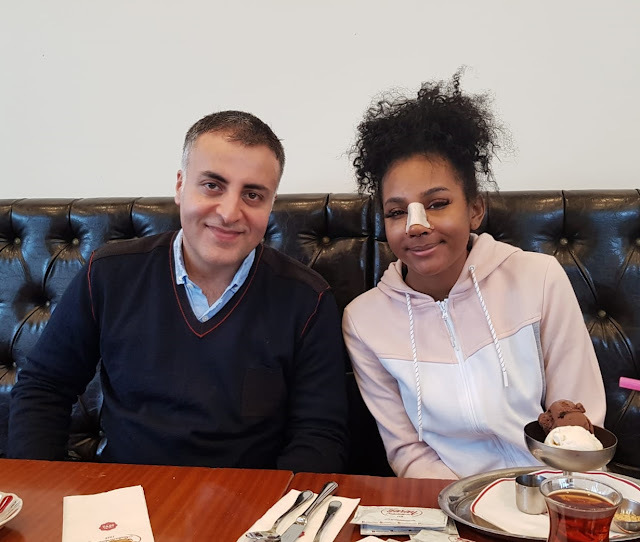 I have a patient who came to Istanbul to report on ethnic rhinoplasty from many countries of the world. 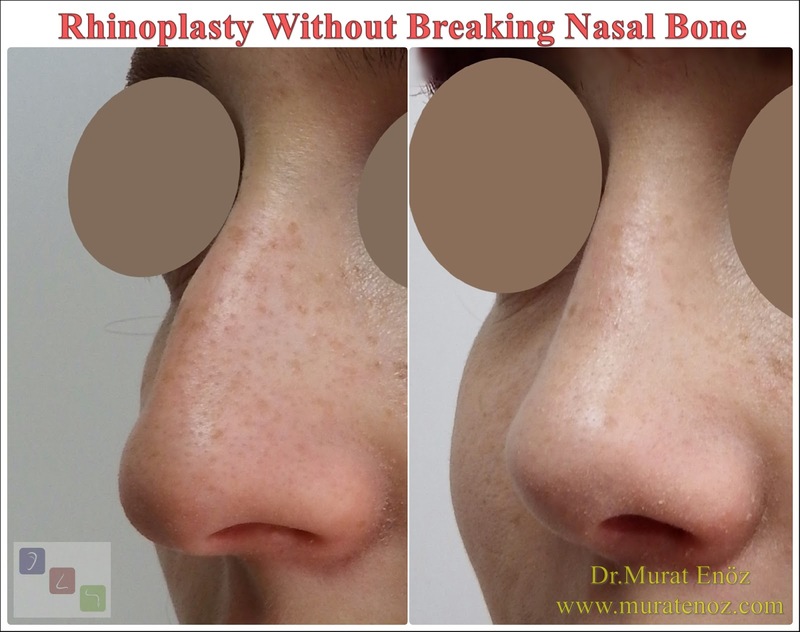 In particular, I would like to advise patients with a broad, thick-skinned nose tip and who want to have a nose structure in which the forehead refractions of the forehead can be seen, by giving information about "healing properties, differences in ethnic rhinoplasty". In patients with very thick skin, a very thin and curved nose expectation "may not go beyond dreaming". Despite the experience of ethnic rhinoplasty and the correct surgical procedures, the genetic healing properties affect the result. Please don't confuse animation with surgery! There are different photographic animation programs before and after nose aesthetics. 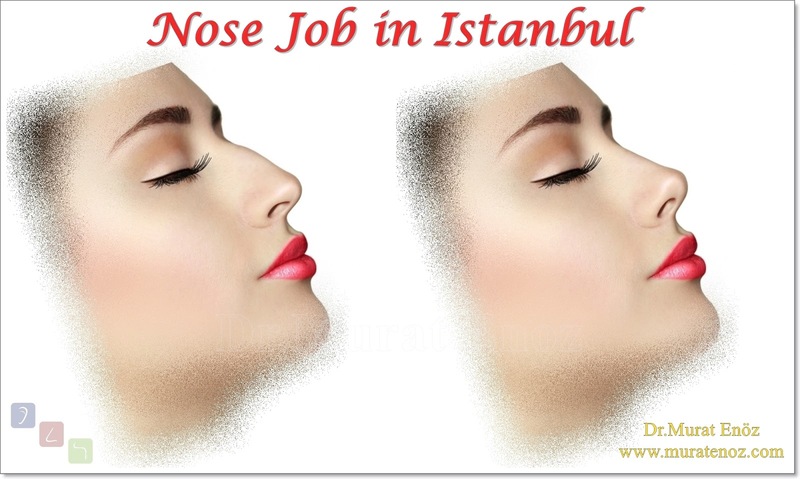 Perhaps these programs can offer a perfect nose shape. Nose aesthetics is a collection of surgical interventions designed to obtain a natural, attractive, functional nose. 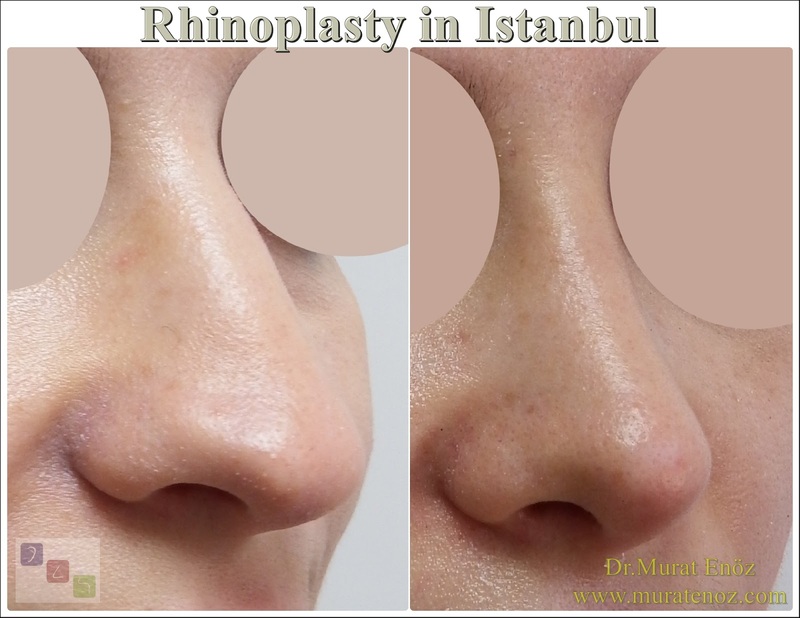 Rhinoplasty operation is a process of shaping a changing, healing tissue group, unlike stone shaping or sculpture. That is, what the surgeon did not do alone; The patient's postoperative care and personal characteristics of the patient affect the result. It is different from digital animation or painting! Total Operation Time For "Nose Tip Plasty, Nose Tip Lifting, Nasal Hump Reduction and Rhinoplasty Without Breaking The Bone"
Does Bruise Occur After Nose Tip Plasty + Removal of The Nasal Hump Operation?